1954 Senate Bill 155 creates the Department of Mental Hygiene and Correction. 1955 The Council for Retarded Persons of Sandusky County established the first classes held in the old YMCA facility at Atkinson School, Fremont. Classes were taught by Mrs. Mariam Karlovetz. 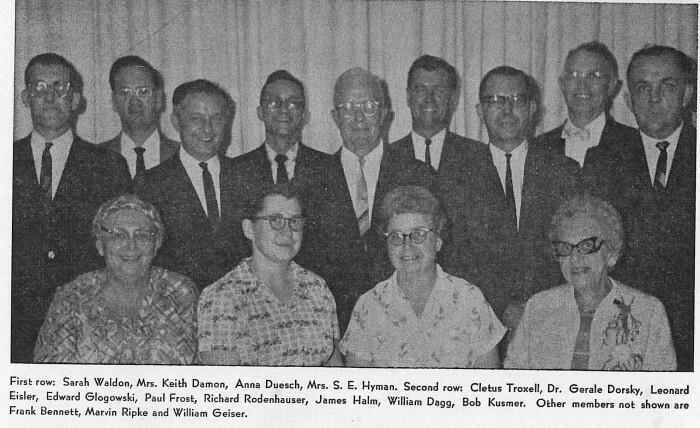 1959 Classes moved to St. Mark’s Lutheran Church where it remained until August 1963. 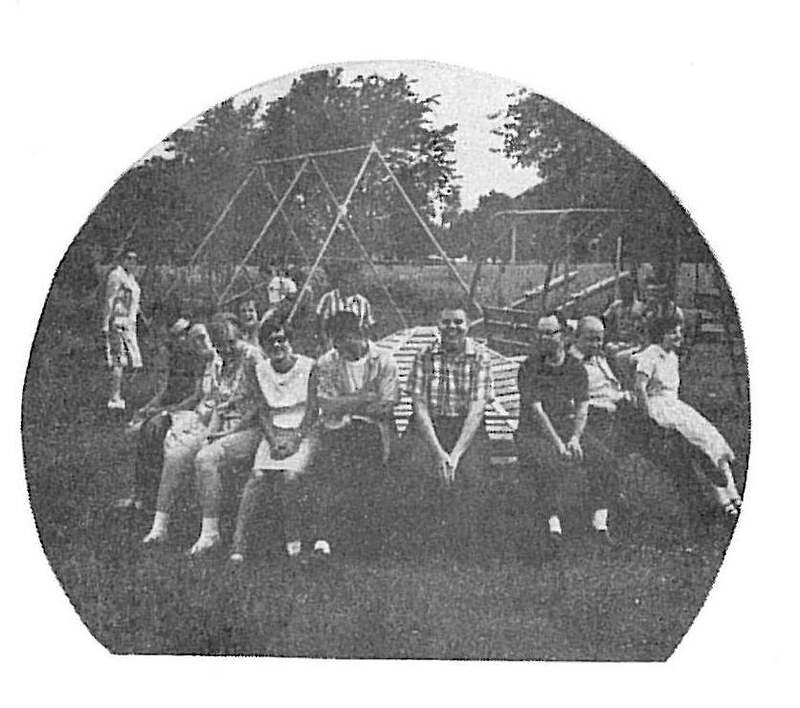 1959 Governor DiSalle appoints Committee for the Mentally Retarded to study the community class program for children. 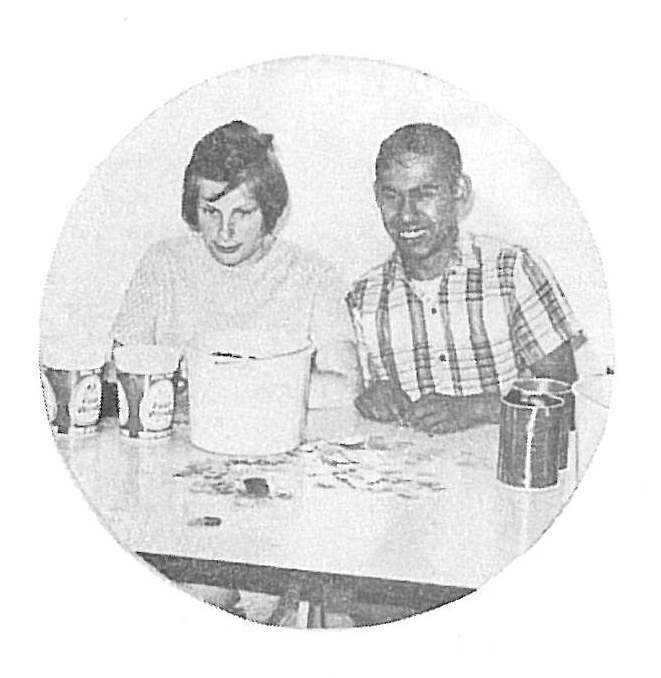 1960 The Governor’s Committee for the Mentally Retarded recommends that classes remain under the Department of Mental Hygiene and Correction and that community programs be expanded to serve adults. 1961 President Kennedy appoints the Panel on Mental Retardation to prepare a national program to combat mental retardation. 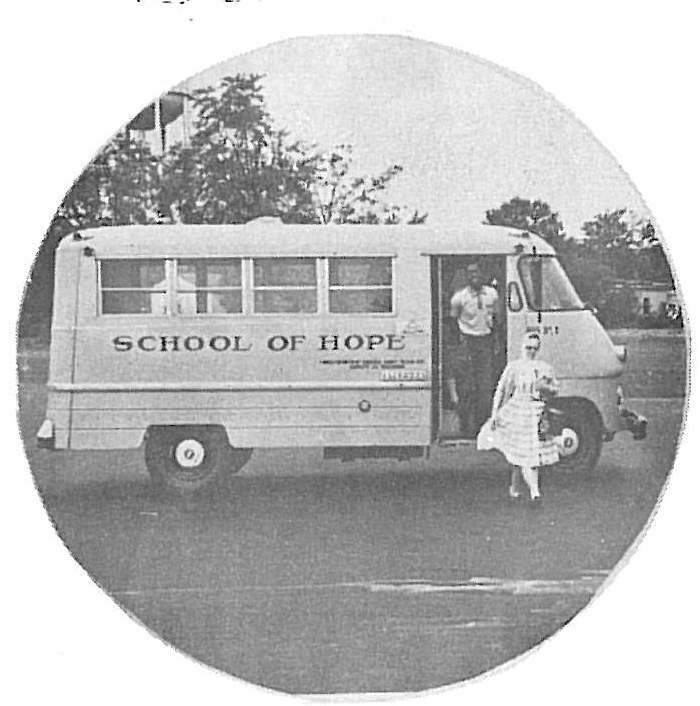 1963 The School of Hope opened at its current site (1001 Castalia Road) with: 3 Classrooms, a multipurpose room, kitchen, office, and bathrooms;1 Classroom was used as a partial workshop; One bus; 31 Students, 2 teachers, 1 assistant. 1967 Senate Bill 169 passed on July 18, 1967, to be effective October 25, 1967, creates county boards of mental retardation to assume administrative responsibilities of the education and workshop programs previously exercised by the child welfare or public welfare boards. The bill also authorizes local subdivisions to levy property taxes to maintain schools, training centers, workshops, clinics, and residential facilities for persons with mental retardation. As a result, The Sandusky County Board of Mental Retardation and Developmental Disabilities was established. 1967 First addition to the building to allow a room for a Sheltered Workshop. The building now included 5 classrooms, 1 office, a workshop, kitchen, boiler room, restrooms and expanded outdoor recreational area. Mrs. Karlovetz was appointed Administrator. 1969 House Bill 970 creates the Division of Mental Retardation within the Department of Mental Hygiene and Correction. 1972 House Bill 494 splits the Department of Mental Hygiene and Correction into the Department of Rehabilitation/Correction and the Department of Mental Health/Mental Retardation. 1973 Sandco Industries building was erected as a separate facility. 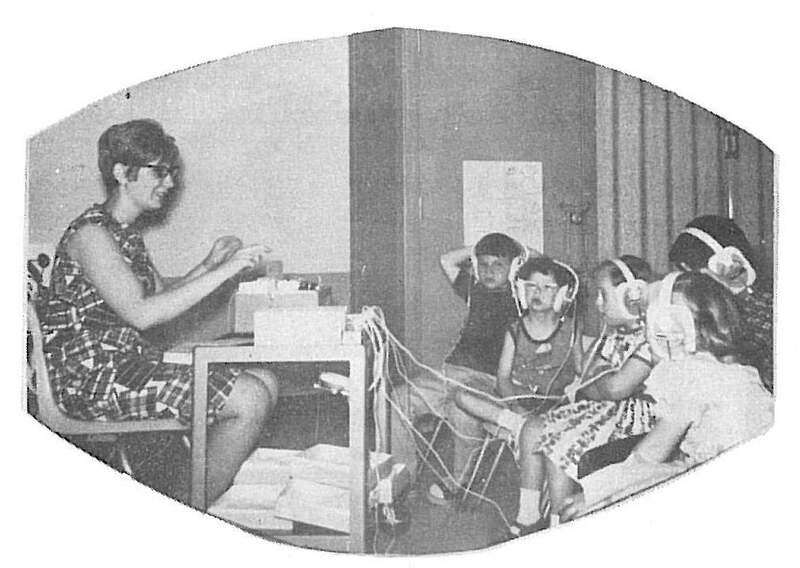 1975 The federal Education for All Handicapped Children Act (later renamed IDEA) guarantees a free and appropriate public education to all handicapped children aged 3 to 21. 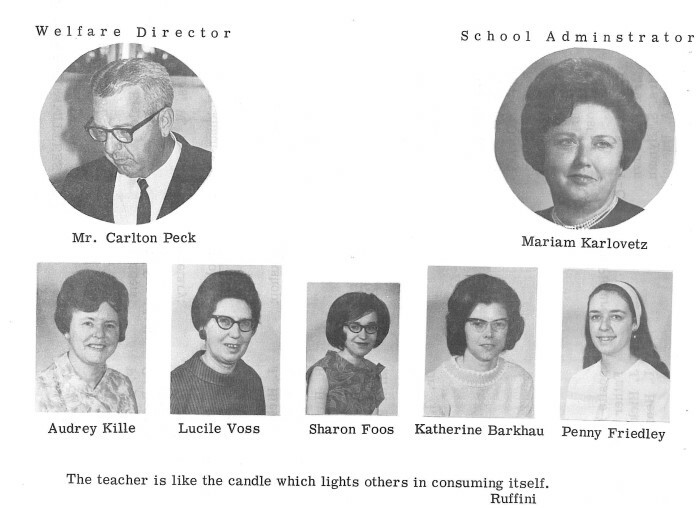 1975 Barb Smola became Superintendent of the Sandusky County Board of MR/DD. 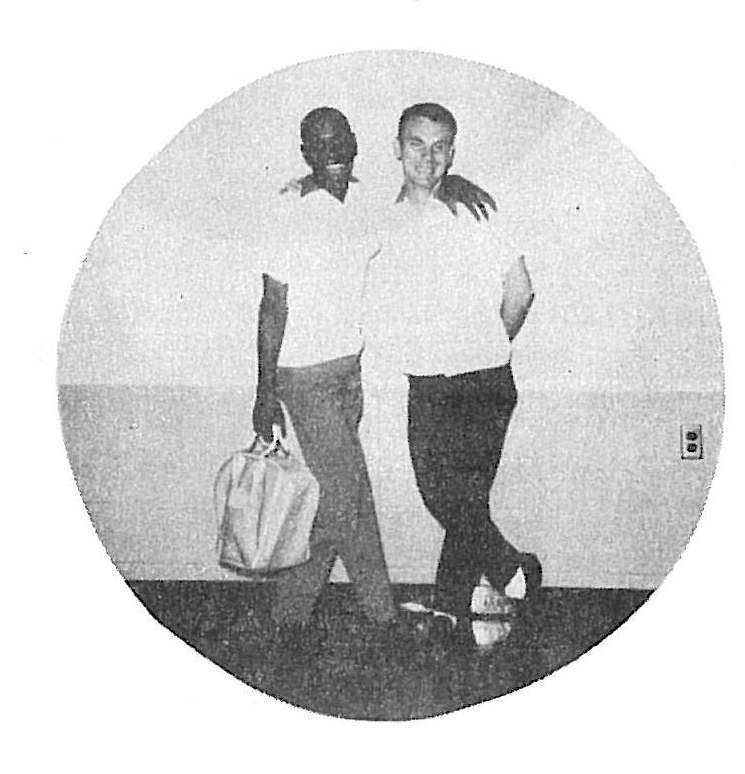 1979 The School of Hope and Sandco Industries were connected with the addition of the gym and other rooms/offices. 1980 House Bill 900 creates separate departments of Mental Health and Mental Retardation/Developmental Disabilities. 1981 Sandco Industries was damaged by fire. 1986 Senate Bill 322 creates Bill of Rights for Persons with MRDD and reforms provision of residential services. 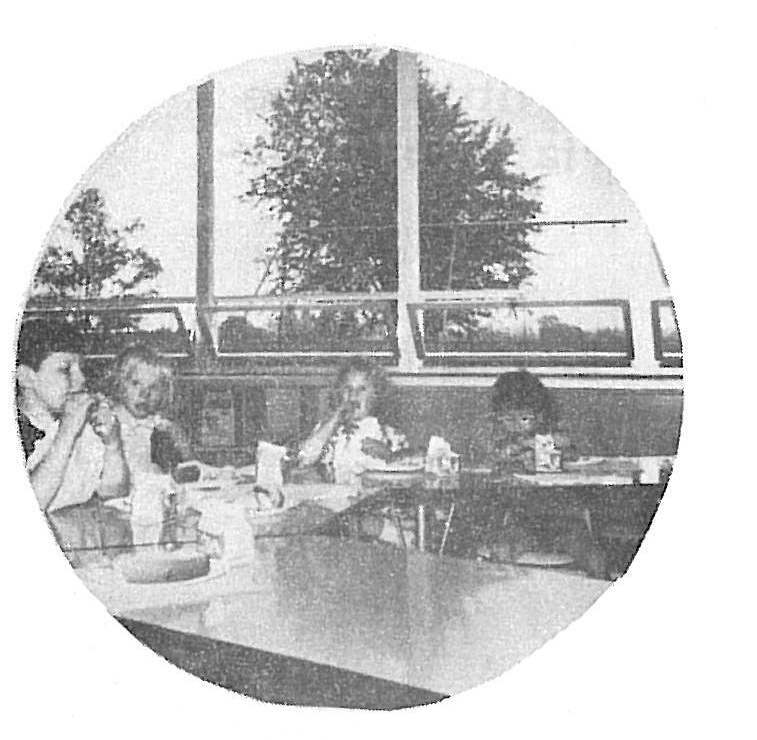 1987 Additional classrooms, restrooms and a warehouse were added to the Sandco building. 1988 A therapy pool was constructed, due to a generous donation received in December of 1987. 1990 The federal Americans with Disabilities Act provides broad anti-discrimination protections for all persons with physical or mental impairments that substantially limit one or more major life activities. 2000 Additional office space, conference rooms, classrooms, and restrooms for adults were added. 2001 Barb Smola Retires as Superintendent. 2001 Deb Yenrick appointed as Superintendent. 2004 Sandco’s Life Enrichment Program moves to its Clyde site. 2005 Deb Yenrick retires as Superintendent. 2005 Cheryl Cotter appointed as Superintendent. 2009 Don Nalley – C.E.O. of Sandco Industries, retires after 30 years of service. 2009 Contracted with Opportunities for Ohioans with Disabilities for vocational rehabilitation program, Pathways 2 Employment. 2010 Cheryl Cotter retires as Superintendent. 2010 Deb Yenrick returns to the Program as Director of Operations and later as Superintendent. 2010 Day Array Services moves to new site on North Street and is dedicated to former Board Member, Rob Lytle, and named Meaningful Activity and Care Center ( M.A.C.C.). 2011 Sandco Industries became a vocational based service provider and offered no non-vocational services. 2011 Sandco Industries Go-Green (Document Destruction / Recycling) Program is started. 2013 School of Hope celebrates 50 years. 2016 Sandco Industries is privatized. 2016 The Meaningful, Activity and Caring Center (MACC) is privatized. 2017 Sandco Industries moved to their new location in Clyde. 2017 Clyde Life Enrichment Center (CLEC) privatized.